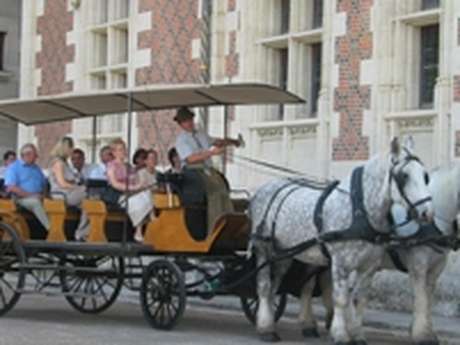 As soon as you arrive in Blois, you'll see how the château makes an obvious meeting point and focus for the town. 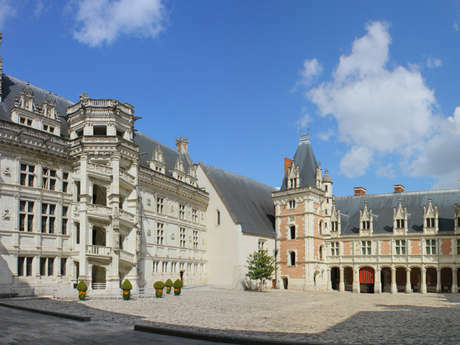 Perched on a rocky promontory, the square - once the forecourt of the château - is today the starting point for all visitors to Blois. You can visit the château immediately of course, or you can start with the Maison de la Magie, at the other end of the square, have lunch or dinner (before the evening light show), or stroll in the gardens of St Sauveur... but perhaps you'd like to start at the Tourist Office Blois Chambord-Val de Loire, to find out more about all we have to offer. Take a bus tour of the historic city, follow a guided tour on foot, enjoy our virtual reality visitor's terminal and look out over the city below. The St Sauveur gardens are also a pleasant moment to relax or have a picnic between two visits. 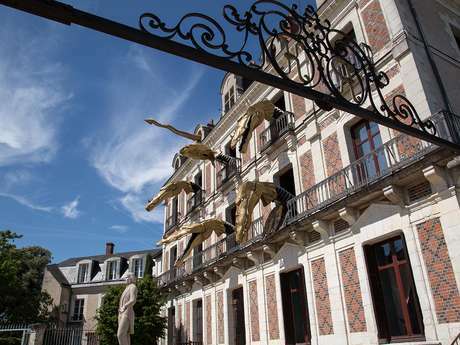 The Parks and Gardens department of the city of Blois make new and beautiful flower beds every season. The church of Sauveur once stood on this site, and you can visit it today, even though it is long gone, on one of the virtual terminals located near the grand staircase. 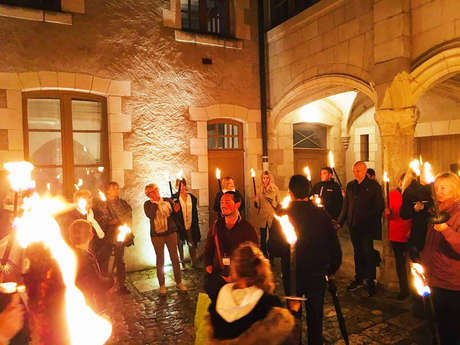 Located on the Place du Château in Blois, near the Maison de la Magie, a pillar equipped with special binoculars allows you to project yourself into the history of the château - quite precisely April 25 1429, when Joan of Arc arrived, and had her standard blessed at the Church of St Sauveur in Blois. A 360-degree virtual tour takes you back in time to the daily life of the place in the mediaeval period and the arrival of this historical figure. Every afternoon in the summer, take your coffee break in the alley of lime trees between the château and the Maison de la Magie.